Please contact school office to schedule a tour or a student shadow day anytime! 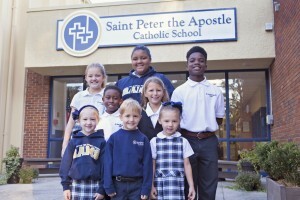 Watch our video to learn more about our school! 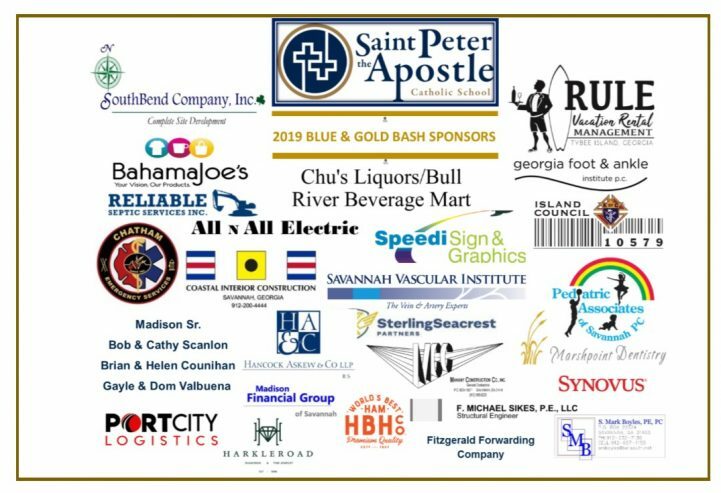 We are nestled in the beautiful Wilmington Island community, just minutes away from historic downtown Savannah, Georgia. Our school is easily accessible from Whitemarsh Island, the Truman Parkway, and Tybee Island. 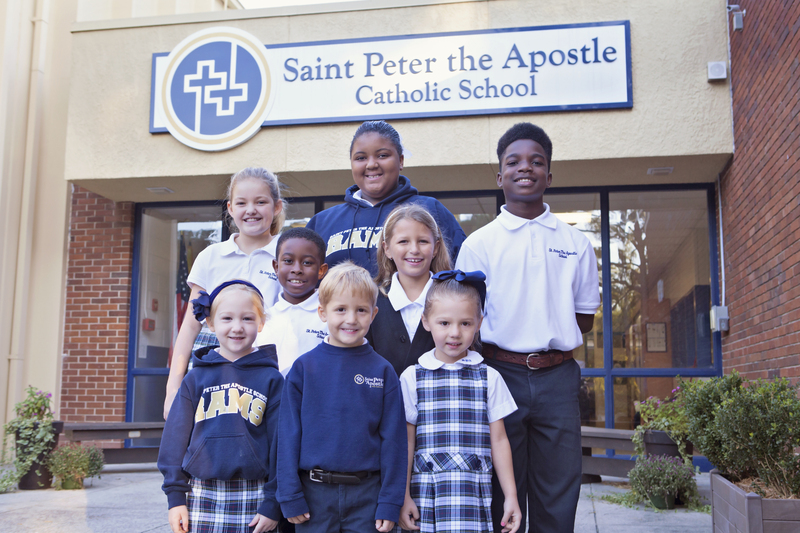 We offer full day faith-based instruction for students from three years old through 8th grade. Not only do we teach religion classes, we have our students live their faith by service towards others. 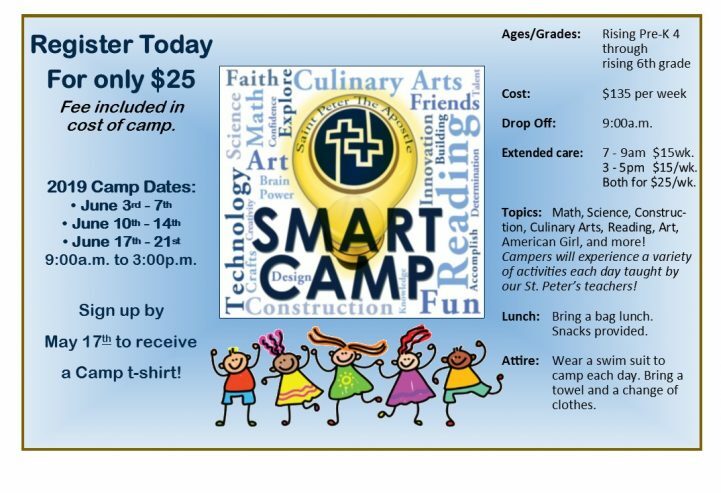 First Wednesday- Wear your Suzanne Fogarty Shirt! 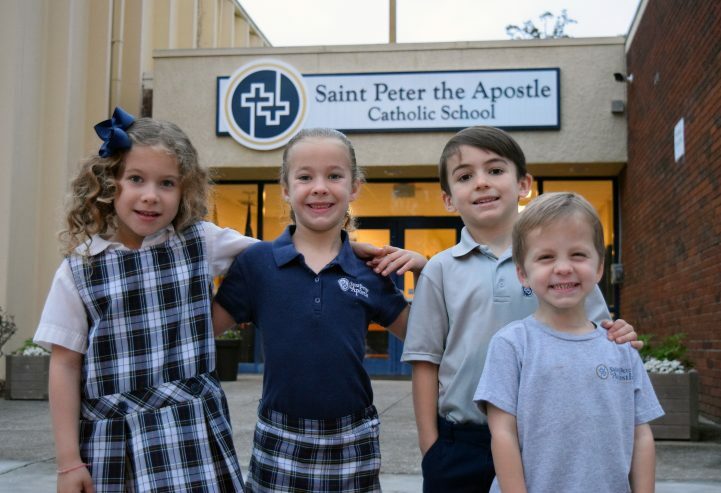 Saint Peter the Apostle School exists to provide a quality Catholic education based on Gospel values and the teachings of the Catholic Church. Following the traditions of the Sisters of Mercy, the school educates through a strong academic program and instills in its students a spirit of mercy, justice, and loving concern.